Since 1996, I’ve been working as a freelance writer, while continuing to teach Creative Writing on Massey University’s Albany campus. 1999-2003: co-editor of the poetry magazine Spin. “A Strange Day at the Language School” (Landfall 203 (2002): 119-25) shortlisted in the Landfall Essay Competition. 2002-2005: managing editor of the Arts journal brief. Since 2002: co-director (with Jan Kemp) of the Aotearoa NZ Poetry Sound Archive. 2007: guest editor of Landfall 214: Open House. 2009: guest editor of Poetry NZ 38: Featuring Jen Crawford (Auckland & Palm Springs: Puriri Press & Brick Row, 2009). 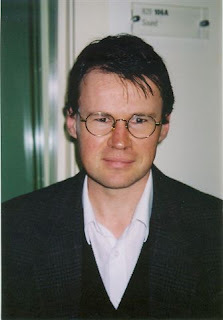 2009-2011: chair of editorial committee of the Social and Cultural Studies monograph series (Massey University). 2014: guest editor of brief 50. Since 2014: managing editor of Poetry NZ.